Why Should You Make a Smart Move to the Cloud? From your Drive and iCloud backup to enterprise software that you use from a choice of devices, everything is in the Cloud today. The most important reason why people store data on the Cloud is to keep it safe and accessible from anywhere in the world. As more and more enterprise solutions move to the cloud, you may want to stop and consider this- why, if ever, should you move to the cloud? The virtual infrastructure of Cloud Computing will give your enterprise the flexibility for better business experience in terms of speed, storage, and security. Moreover, moving your database to the cloud will create enormous savings in your existing data space. The investment of time and money gets cut down because of reduction in the number of servers. Could services are also integrated with other services like Point-of-Sale (POS) which creates an automatic synchronization of products and stock levels to the e-commerce platform. If you move your database to the cloud you can stay worry-free. Whether you experience a natural disaster or power failure, your data will remain safe in the cloud still accessible to you from anywhere, anytime. By enabling you with the opportunity of quick access from anywhere and anytime, the cloud brings you more productivity for your business. If you have multiple workplaces, storing your database in the cloud will be of great help. The employees, contractors and, third parties would get access to the same files instantly once shared thus creating a shared environment. 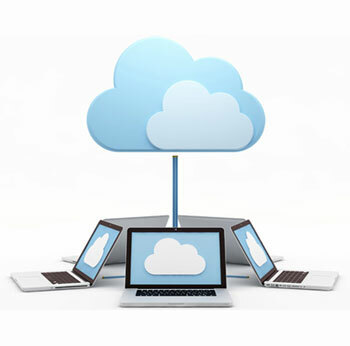 Cloud Computing Solutions is a huge universe providing you with many different choices like Private Cloud, Public Cloud, Community Cloud, and Hybrid Cloud. Each of these comes with pros and cons their own way. Which among these is the perfect choice for your enterprise, will depend on many different factors. But, for every enterprise, there is one priority concern, Security. Again it is very important for the enterprise to understand the compatibility of the application with the choice of Cloud technology. For smooth Cloud IT Solutions experience, avoid moving those applications to the clouds which are getting major upgrades. Reading the software contracts will be of great help, as there might be a preset of limitations. It is necessary for the enterprise to eliminate obsolete applications from the cloud to create space for the newer counterparts. Along with a great infrastructure, flexibility, and lower operational load Cloud Computing also comes with transparency and control over the organization, particularly with the Public and Hybrid variants. Those days of worries about the fear of Cloud Computing are long gone. If you are ready for the new advantages, try Could Computing technology now! Which comes first- The Cloud or the application? Your data should work for you instead of you having to jump through hoops to understand it, so in our opinion, it’s simple. Select the applications, databases and tools which best suit your business needs first and The Cloud will take care of the rest. You may want to choose one common cloud provider across all solutions, or you can have a range of solutions supported on different platforms. It’s wise to choose a supplier who has a more open offering which isn’t just limited to one database choice so your company can remain open to all possibilities.